There are many smaller organisations that do not widely advertise opportunities for interns or graduates as they only take in a small number of graduates or offer specialist or niche services. However, this does not mean that they do not have opportunities for you, they just require a different approach to access these valuable and diverse roles. This is where the speculative application comes in. A speculative application differs from applying for an advertised opportunity as you are enquiring about possible job opportunities in your chosen sector. In this article, we look at what a speculative application is, and how to write a speculative cover letter. A speculative cover letter is sent with your CV when you apply to a company who are not currently advertising any vacancies. You can send your cover letter and CV by post or email as there will not be any specific requirements and an online application form will not be an option. While CV’s and cover letters are often written with a role in mind, speculative cover letters should be more tailored to the company you are writing to. You should be selling how you would be a great addition to the company, rather than why you would be perfect for a particular role. 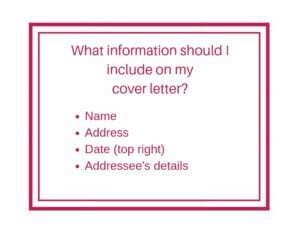 How do I write a speculative cover letter? Okay, so now you know what a speculative cover letter is, how do you write one? Who do I address my speculative cover letter to? Ideally, you should address an individual, rather than simply the HR department or the sales director, as these are unlikely to get you anywhere. You will have to do some research and find out who the hiring decision maker might be and address it to that person directly. LinkedIn is your best friend here, though do not be afraid to ring them and find out. Addressing your CV and cover letter to this person has two huge benefits. The first benefit is that you will get noticed by the right person and the second benefit is that it will show that you have done your research. How do I format a speculative cover letter? 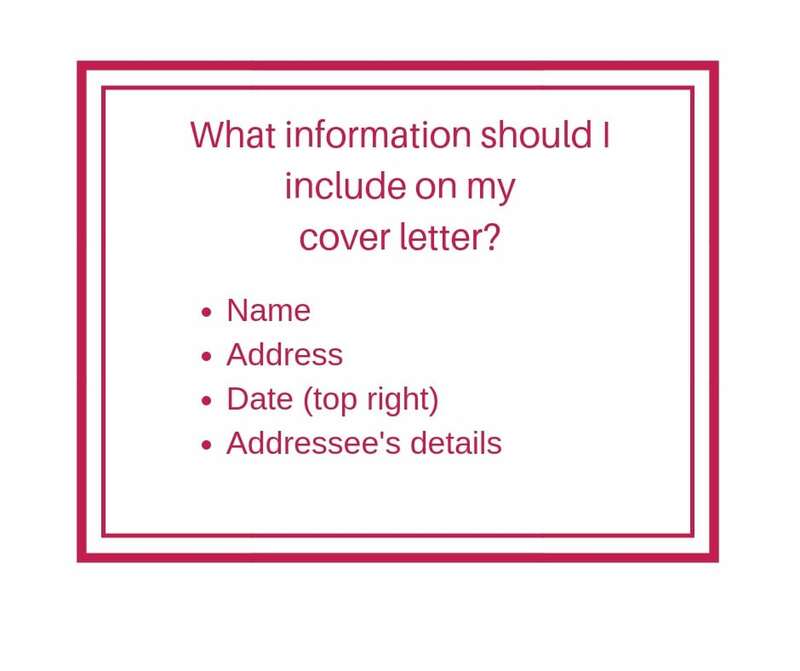 You should set your cover letter out formally, which means adding your name, address and the date at the top right and the addressee’s details below. You should begin with ‘Dear…’ and end with ‘Yours Faithfully’, the correct format if you don’t happen to already to know the person you are writing to. Your cover letter should be just over half a page of A4 and no longer. Try and break it up into three or four paragraphs. Begin with explaining why you are writing to them, and be as specific as possible as to what sort of work you are looking for. You should ideally highlight why you have chosen that company as a potential employer. You will then outline your skills and what you can bring to the organisation. As this is a speculative cover letter, you do not have to focus on a particular skill or qualification, so you shouldn’t. Instead, show that you are an all-rounder and cover a wide range of skills and qualifications that show you would be a good fit for the company. Pull key examples from your CV that you think show off your skill-set and show that you would be an effective addition to the company. However, it is also important that you don’t make it all about you. Demonstrate that you understand the needs of the company, and how you would fit into the wider picture. A few well researched facts about the company will work in your favour, as it shows you are already dedicated to the company. At the end of your cover letter, go over some of the key points and thank them for their time. Remember to keep it no more than a page long, ideally just over half a page. How should I send my speculative cover letter? As we mentioned, there are different ways you can send your speculative cover letter as it is speculative, there are no rigid instructions. You can send it in the post, providing you have the right name and address. Alternatively, you can send it via email. If you are sending it over email, keep your opening email professional and concise to keep the addressee’s attention. Don’t re-write your cover letter, a long rambling email is not what people want. What do I do after I have sent my speculative CV? Usually the company will get in touch to let you know whether they have any available positions or whether you have been successful. However, be patient, the chances are they are very busy and it may take them slightly longer to get back to you. Alternatively, if you do not hear anything for a few weeks, you can contact the addressee to see if they had received your CV and cover letter. This is also a good way to get constructive feedback if you were unsuccessful. Hopefully this has given you some idea of what a speculative cover letter is and how to format one. Remember that speculative CV’s and cover letters will not always work. However, you won’t know unless you try.